At The Roche School, we are part of TFL’s STARS scheme, through which we promote and facilitate active, safe and sustainable travel to and from school. As a result of our travel initiatives over the last two years and a substantial reduction in car usage, we now hold Gold accreditation status. Instead of using private cars, the school encourages pupils, parents and staff to walk, cycle, scoot or take public transport. We are also committed to reducing congestion in the immediate area and now have two mini buses bringing children to school in the mornings from Southfields and Fulham/Putney. Car usage has been reduced from 48% in 2011 to 26% in 2017. Cycling, walking and scooting activities for children. Improved awareness for the need to reduce congestion in the local area and a desire to change travel habits. Improve the environment by reducing congestion and emissions on the road. Improve their day by starting it with a burst of activity. To encourage even more people to cycle, walk or scooter to school and reduce car use further. If you have changed your travel habits and would like to share your story, or have ideas for future promotions and activities, please contact the school office or j.clacher@therocheschool.com. We would like to hear from you! Thank you to all those who have participated in any of these initiatives or who have reviewed their travel habits to and from school. 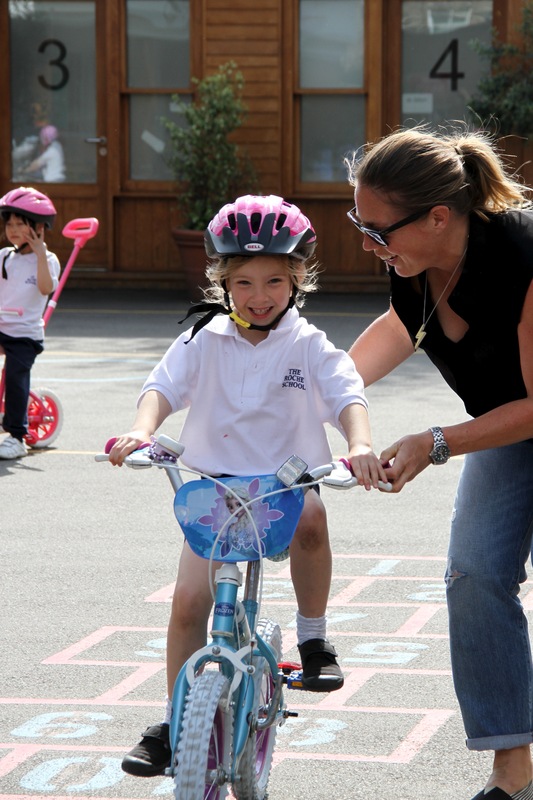 The Roche School will continue to promote safe, active, responsible travel for the whole community.